I almost threw a small box away this evening…and then realized I shouldn’t do that. It’s almost October and I need to start stocking up again. Because Christmas is less than three months away, of course. Now that my kids are older, gifts tend to be smaller (though not cheaper by a long shot!). But CD’s, DVD’s, players, video games, jewelry, and the like, don’t take up a whole lot of space under the tree. And that’s where my box collection comes in. Sure I could use commercial gift boxes, but where’s the fun in that? They’re all basically the same shape and that’s kind of boring. But you throw in cracker boxes, cereal boxes, and boxes from things like cookies and vitamins…now there’s a really nice variety. Plus, with all those different sizes, you have the opportunity to wrap the same gift a few times over. You know, make the kid work for it. So far I’ve been a nice mom and not done what another family I heard about does. That is to put a small gift in a small box…then wrap it with a roll of duct tape. I imagine it would drag the whole gift unwrapping moment out. Anyway, I didn’t throw the box away. Time to start breaking them down (they take up less space that way), and holding on to as many as I can between now and December. It’s always better to have too many than too few. I did learn a lesson when my oldest daughter was about two though. You want to be careful, with young kids, that the box you choose isn’t more appealing than the gift itself. In other words, no matter how cute the stuffed animal, if you put it in a Little Debbie Swiss Rolls snack cake box, said kid is probably going to be really disappointed with the stuffed animal. On the other hand, I think you could have a lot of fun with the choice of boxes, too. Until I was about sixteen, our family would head over to my grandparent’s house, along with all of my mother’s siblings and their families. It was, without question, the most crowded house you ever care to see (she has seven brothers and sisters!). It was also the best night of the year. Because there were so many of us, we’d have drawings. Each adult would buy a gift for another adult, and same with the kids. Since the kid limit was $5.00, there weren’t a lot of options, though you sure could get more for the money back then than you can now. One year I drew the name of a teenage male cousin, and came up with the perfect gift. Just give him the $5.00. Wrapped in a tampon box. Well, technically, wrapped around a tampon, then put it back in the box. So now that I’m a grown up, I have to look at other opportunities to have fun with gifts. For example, getting people things like laxatives and enemas for milestone birthdays (i.e. any birthday where the age ends in a zero). I have mentioned the fact that I’m a little weird, haven’t I? 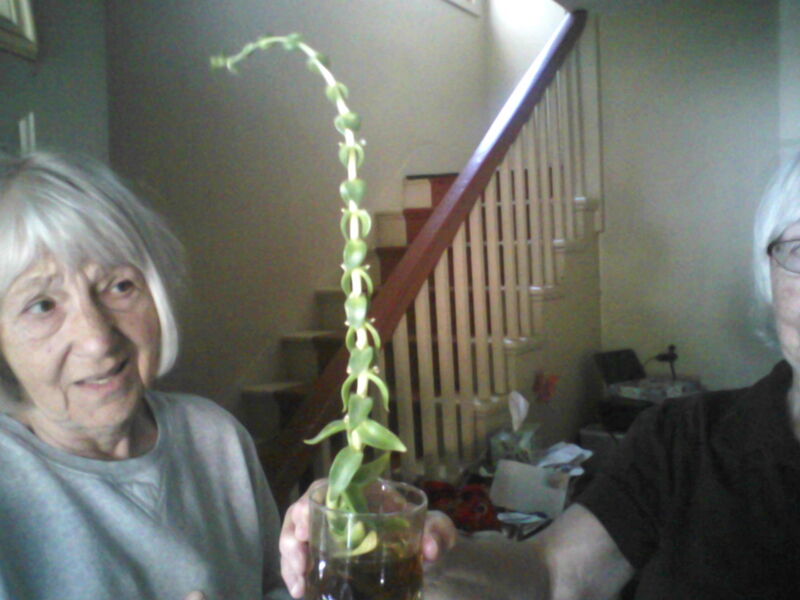 On a different note, my aunt found a strange plant thing laying in the parking lot of a grocery store, took it home, put it in water…and the thing grew. Personally I think it’s Jack’s beanstalk and, by this time next year the family will be filthy rich…after we con one of the guys into climbing up and grabbing that goose. On the off chance it isn’t, and since I’ve had no luck Googling it, I’m posting a picture on my WordPress blog (http://kristykjames.wordpress.com/), and if anyone recognizes it, please let me know. We’re all just a little curious. 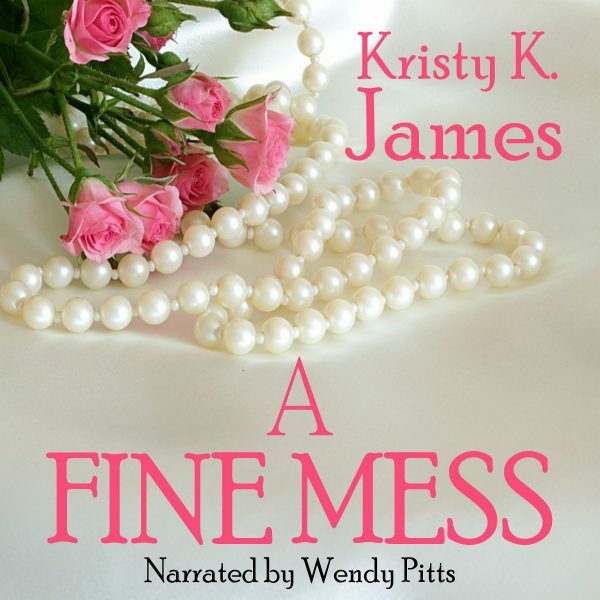 This entry was posted in Romance and tagged A Fine Mess, author, blog, blogger, books, boxes, Christmas, Facebook, fiction, gifts, Kristy K. James, non-fiction, novels, plant, Reluctant Guardian, romance, The Stranger In My Head, Twitter, writer. Bookmark the permalink. What a nice post – I love boxes and do crazy things with them. The plant looks vaguely familar, but I can’t place it. I have no idea what that thing is! 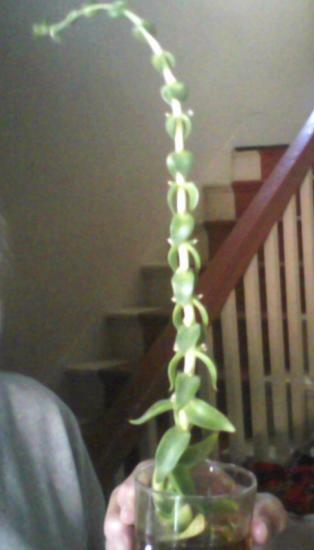 🙂 I think you may be right, that it’s Jack’s Beanstalk. Cute idea about the boxes. That might come in handy sometime.